"Creating peace on Earth one fountain at a time." Many of the pieces you see on my website were created for specific locations. I work with many different types of clients from architects and builders to designers and homeowners. 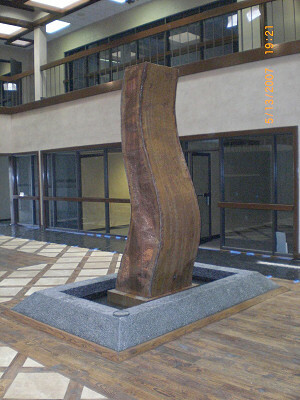 Some of the fountains you see are derivatives of earlier works that were created and adjusted to fit each clients specific needs. 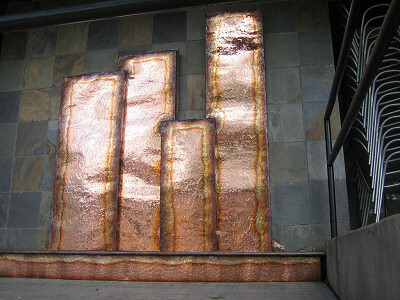 While other designs are one-of-a-kind creations built from imagination to fit a clients wishes. 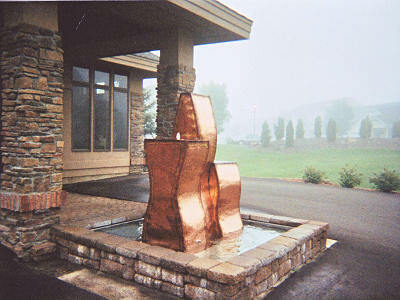 I am open to creating all different kinds of fountains and can work in metals such as copper, stainless steel, and silicon bronze. 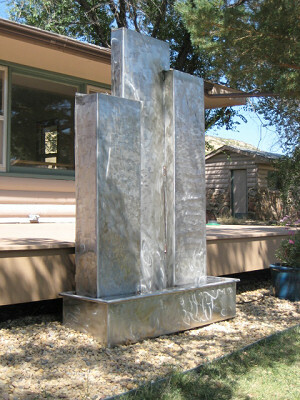 If you have an interest in a custom fountain feel free to give a call or send an email. After that if you would like to move forward with having a custom fountain designed for your location I will then begin the consultation process. I charge $500 for a consultation on a custom fountain. In the consultation I will listen to your desires and then come up with some rough design ideas for you. As we narrow in on the design you like, I then create for you architectural grade renderings to show you how your custom fountain design will look in your location. If you decide to move forward with the proposed fountain the $500 that was paid as a consultation fee will then be deducted from the balance of the whole project. Most people see this as a fair format, and it is one that allows me to give each project the time and attention it deserves. It all begins with a conversation so feel free to give me a call. - A custom commissioned project requires a 50% non refundable deposit. their initial deposit and any consultation fee that was applied to it. 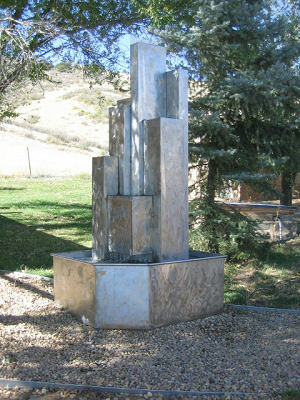 - The balance on a custom fountain is due within three days of its completion. the cancellation of the order and the loss of the deposit.